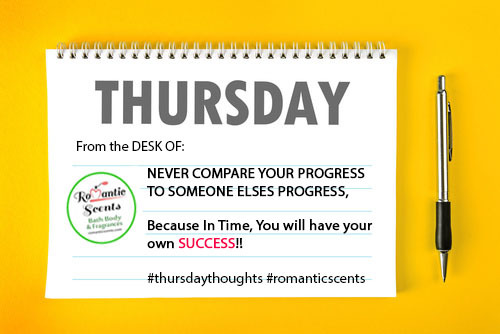 Today is Thursday, and today’s inspirational thought! Never monitor your progress by someone else’s progress..
All in Good Time, You will have your own SUCCESS!! !